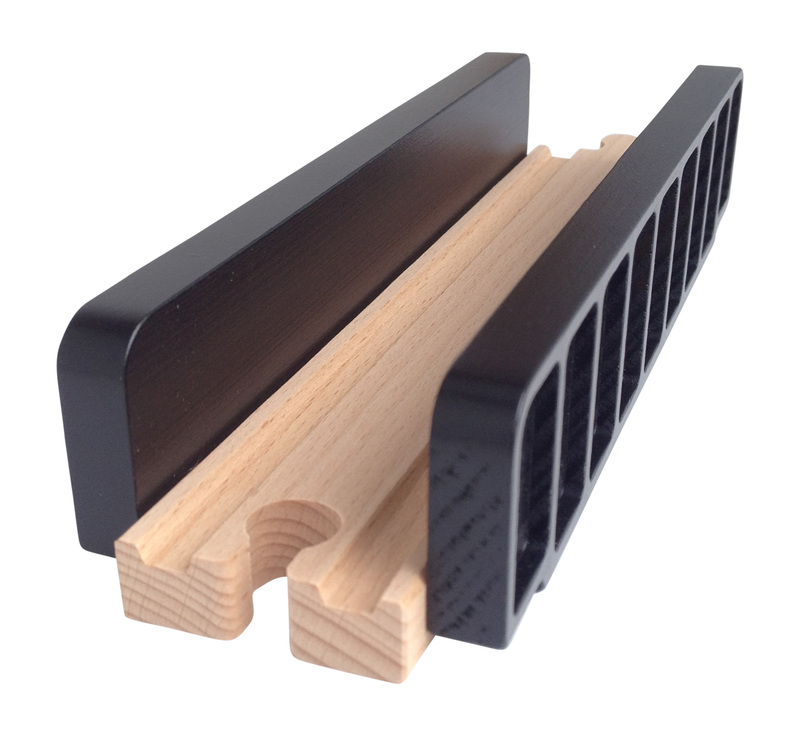 Our wooden Girder Bridge is 8" long with the sides being an 1-1/2" tall. Customize your wooden track layout with this unique addition. It may be used with ascending wooden track and support blocks OR flat on the floor! This bridge will even accommodate "Chuggington" trains.